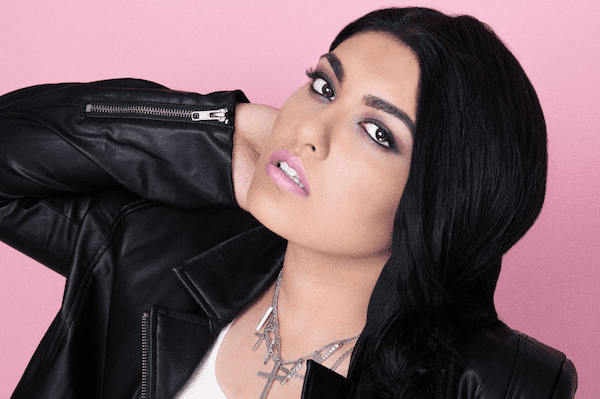 In our latest Reverbnation Spotlight, we chat to Izzy Malik. S] What inspires your material – think films/people/places? I get inspired by almost anything. One of my songs, my first single “Malala”, was inspired by the brave women’s right’s activist and Nobel Peace Prize winner Malala Yousafzai, while my second single was inspired by Harry Styles of One Direction. Situations also inspire me, like being in a situation where I loved someone who didn’t treat me the way I deserved or just a funny thing that happened. My most recent single “Neverland” was actually inspired by Peter Pan, so that would be a film-inspired song. Inspiration comes from anywhere and everywhere – you just have to be ready to act on it. S] What song best defines where you are at now as a artist? I think my new single “Neverland” really defines my new sound. I grew up listening to classic rock and roll, so it was kind of weird for me to be singing bubblegum pop or R&B. I’ve finally found a pop rock sound that I love, inspired by Elvis, Joan Jett, Avril Lavigne, All Time Low, and other such artists, so I feel really happy with the direction my music’s taking. I hope to move even more into rock than pop in the future. S] What are your major plans for the rest of this year? I’m going on tour with Richie Ramone, former drummer of punk rock legends, The Ramones, and releasing my debut album in the late summer/early fall. We’ll see what else happens! S] Any messages for UK fans? I love the UK and can’t wait to perform there! Rock on, dream big, and keep on being yourself because you’re freaking awesome!